Because of its ingenious scope, neither the airlines nor the auto industry contested the plan. It targeted corridors among major cities that are too far apart to drive, but too close to make flying worth the time and hassle of trudging through airport security: Chicago, Detroit, St. Louis and Milwaukee, for example, or Atlanta, Charlotte, Birmingham and New Orleans. Although trains wouldn't compete with planes between New York and Los Angeles or, for that matter, Chicago, the plan would put high-speed rail within the reach of 80 percent of Americans. Then came the Tea Party uprising of 2010, ushering in a crowd of anti-spending legislators. They immediately set out to derail the program, which they conflated with the supposedly socialist agenda the president was pushing with his health-care overhaul. Newly elected Tea Party governors in Florida, Wisconsin and Ohio returned a total of $3.6 billion in stimulus awards; Representative Paul Ryan of Wisconsin introduced an amendment to rescind $2.3 billion in rail funding that hadn't yet been spent. The protests were mostly grandstanding, and didn't end up denting the deficit by a dime. Ryan's bill stalled in the Senate, while the grants to Florida, Wisconsin and Ohio were redistributed to other states. Wisconsin's governor, Scott Walker, even applied for an award from a later round of federal funding to upgrade rail between Chicago and Milwaukee. This opposition may have been good politics, but it's terrible policy for America. The arguments in favor of high-speed rail are just as compelling as they were in the early 1990s, when President George H.W. 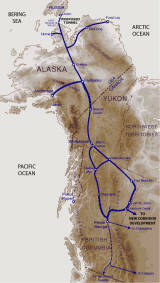 Bush's administration first outlined the rail corridors. 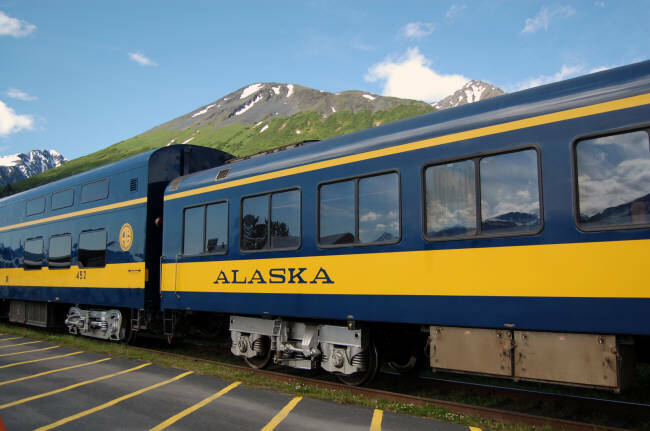 Investment in rail is a step toward energy independence. Transportation accounts for almost three-quarters of U.S. oil consumption. Shifting millions of passenger trips from cars and airplanes to electric-powered trains each year wouldn't just relieve airport and highway congestion; it would also reduce the amount of oil we need to import from the Middle East. And because trains use a third less energy per passenger mile than cars do, they're far less damaging to the environment. When Florida's Republican governor, Rick Scott, returned $2.4 billion in federal rail funds last year, he also expunged about 17,000 construction jobs in one of the most depressed areas of his state. The Florida corridor, which could have linked Orlando to Tampa as early as 2014, was projected to return an operating profit of $10 million in its first year alone. 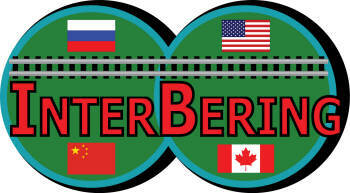 Bipartisan enthusiasm greeted President Barack Obama's announcement in 2009 that the U.S., long the world's caboose in train travel, would finally invest in high-speed intercity passenger rail. From the Appian Way to the Erie Canal, economic development has always followed transportation. Businesses small and large cluster around train depots, propelling real estate values and generating millions in new property taxes. The U.S. built its way out of the Depression by investing in massive projects such as the Empire State Building, the Hoover Dam and the Blue Ridge Parkway. 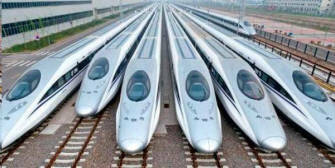 High-speed rail is a time-proven way out of today's economic morass. It is undoubtedly expensive. And rejecting the massive investments required as wasteful spending would be easy if America's transportation needs were stagnant. But they aren't. The Census Bureau estimates that the population will grow by 100 million over the next 40 years. And most of those people will reside in urban areas where airports and highways are already bursting at the seams. California recently revised the projections for its high- speed rail plan to $98 billion, more than twice the previous estimate. But even at those prices, it's cheaper than the alternative. According to Rod Diridon, executive director of the Mineta Transportation Institute, in San Jose, to meet the transportation needs of California's growing population without rail, the state would have to spend more than $100 billion to build new airports and add six lanes to every highway. The existing framework for high-speed rail isn't perfect. America has spent a century neglecting what was once one of the finest rail networks in the world. It's going to take more than two years to get it back on track. There are also flaws with the way funds have been allocated thus far. Too little has been directed to the Northeast Corridor, where population density is greatest, where demand is already high, and where Amtrak's Acela service strains to reach its top speed of 150 mph because of antiquated infrastructure. And it's valid to complain that too much of the high-speed money has gone toward upgrading conventional rail service in the Midwest. Yet, in fairness, simply getting existing trains up to 90 mph is already going a long way toward the network's goal of competing favorably with driving and flying. Abandoning this cost-effective, energy-efficient, environmentally friendly, revenue-generating grand vision would be a mistake we would regret for generations. 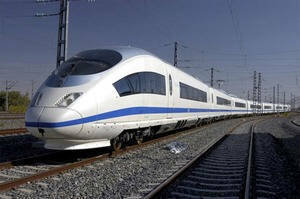 The construction of a successful high-speed rail network is vital to America's future. But it won't happen unless the leaders of the 21st century stop playing politics and start thinking beyond the next election. (John Rosenthal is a contributing editor for National Geographic Traveler.